Are you looking for a trustworthy backpack that is designed for everyday use, yet rugged enough to tackle the requirements of your upcoming outdoor adventure? Or, do you spend most of your day scaling the endless trail of mountains before reaching an eatery and pulling the laptop out? 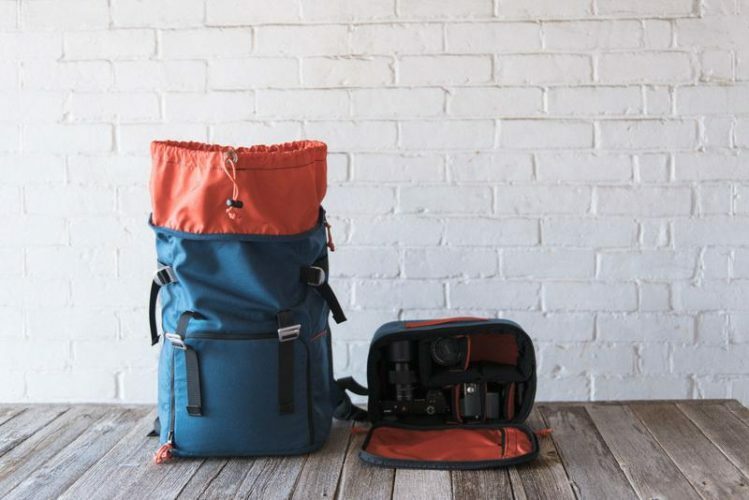 Well, whatever the case is, the Ogden Made Two Bit Klettersack Backpack is all that you need! Whether you want to carry a laptop or pack your travel gear, the Klettersack will not disappoint you at all, and it is easy to see why. Before you go any further we just want to say thank you to BestBackPack.com for an awesome review on our Two Bit Klettersack. Click here to check them out. 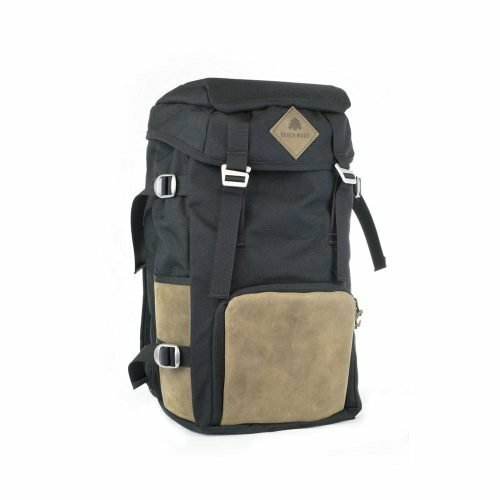 Ogden Made is a Utah, USA based travel gear, backpack, and accessories manufacturer known for its sturdy designs and trendy looks. The Two Bit Klettersack is regarded as one of the finest products to have come out of their house. With a 1000D Cordura exterior, waterproof lamination, heavy-duty metal straps, and YKK zippers, the Two Bit Klettersack is built to handle all types of environments and usage patterns with extreme ease. This exceptionally resilient and vintage-looking backpack can be an ideal travel companion, office backpack and packing mule for outdoor adventures at the same time. The Klettersack comes with a classy design and effective features – which means you don’t have to sacrifice style for functionality anymore. There’s no dearth of knapsacks and backpacks in the market, but Ogden Made’s Two Bit Klettersack stands apart from the rest due to its vintage-inspired looks, quality material, and rugged construction. The Two Bit Klettersack is undoubtedly one of the finest looking, versatile and stylish products in this segment. With a mountaineering lifestyle inspired design, the Two Bit Klettersack is designed to withstand even the hardest of terrains – thanks to Ogden Made’s fantastic craftsmanship and high-quality build. It comes with a top-loading design with metal closure hardware to secure the top flap. It uses a high-quality 1000D CORDURA material to provide extra resilience. Multiple layers are laminated together over a waterproof membrane to safeguard your accessories from incessant rainfall and wet surroundings. Further, cutting-edge YKK zippers ensure smooth and long-lasting usage. It comes with padded laptop sleeve which is capable of accommodating a 15-inch laptop. The side access zipper ensures that the user doesn’t need to access the top flap to obtain their laptop. The metal straps are made of high-grade material to provide you with better durability. Apart from this, the pack even comes along with an additional camera module at the bottom of the pack. Further, you can also equip your Klettersack with an all-new Monte Camera module to safely carry your camera gear, lenses and GoPro kit. Surely, there is nothing more than a travel enthusiast with a passion for photography could ask for! 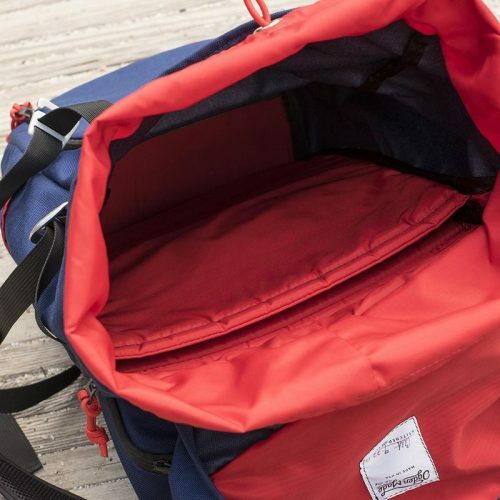 Add to that, the pack is quite spacious and has a main 30-liter inner compartment with a wide front zipper that can be used to carry clothes, accessories and other useful items. It’s large enough to suffice the need of a single traveler for a weekend trip. Moreover, there are two side pockets on each side for carrying water bottles or additional gear. What’s more? The pack also allows you to secure a tent, tripod or blanket with its tension lock side straps. This frees up your storage space inside the backpack while still allowing you to travel with your hands-free. A truly useful feature, particularly if you have a lot of things to carry. Last, but not the least, Ogden Made’s Two Bit Klettersack comes with free lifetime repair/replacement warranty. So if you still have any doubts over the quality, it’s time to put them to rest. Ogden Made believes in competitive pricing structure. Priced at just $180, the Two Bit Klettersack is actually an irresistible deal – if not a steal. Compared to the current market trends, it’s undoubtedly great value for money deal if you are looking for a multi-purpose and sturdy Klettersack. Ogden Made Two Bit Klettersack is a multi-purpose pack that can handle the extreme adventures, yet seamlessly transition as a regular backpack to carry your office essentials. No matter, whether you are planning for a trekking excursion, attending a business meeting or heading to the nearby eatery, it can serve you well in every situation. Supremely well crafted, rugged, stylish, versatile and yet still affordable – the Two Bit Klettersack from the house of Ogden Made is an all-in-one solution to satisfy both your taste as well as your needs. Constructed with high-quality durable materials, this magnificent carry will not let you down as far as the functionality, performance, and durability are concerned. Add to that the prospect of free lifetime repair/replacement warranty – you will realize that there’s hardly any better alternative available in the market. Check it out. The Author gave our Two Bit Klettersack a Five Star Review!